It all began about 10,000 years ago as they slowly retreated north, scraping and gouging the land. Mile-thick slabs of ice that were the massive glaciers of the Wisconsin Age. They gave birth to the immense, fresh water treasure known as the Great Lakes, the southernmost being Lake Erie. Two smaller lakes at first, Erie didn’t achieve its current form until about 4,000 years ago. Though most of the lake’s shore rose above the water, about a 30 mile stretch on the southwestern Lake Erie shore did not. Along here were left marshes and wetlands, the northern perimeter of the Great Black Swamp of northwestern Ohio lore. For thousands of years, the watery lands lay undisturbed, known only to the wildlife who lived there and the Native peoples who hunted them. Brown and his group were only able to travel about 20 yards at a time before resting. At night, he laid wide awake due to fears of rattlesnakes and the “scalping knife” of hostile Indians. His more seasoned colleagues slept just fine, he noted. But he was amazed by huge numbers of waterfowl in the marshes. They were so abundant, he wrote, that it would be worth a journey of “five hundred miles” just to view them. The birds and waterfowl of the marshes were surely startled in September of that year by the thunderous sounds of cannon fire rolling through the marshes during the Battle of Lake Erie. Fought in the waters off Put-In-Bay, it was the only naval battle ever on the lake and the cannons were heard from Maumee Bay to Cleveland. ​After the war, the marshes remained undisturbed for a time, the barrier of the adjoining black swamp keeping settlers away. By around 1850, newcomers were streaming into the swamp, draining its wetlands and felling its towering forests. ​And as white settlement of the area increased, so did the numbers of duck hunters visiting the marshes. By 1900, thousands of square miles of the black swamp were gone. Most of what was left lay in the narrow strip of the Lake Erie marshes, and many of those being drained for farmland or development. The duck hunters began buying marshland for private clubs and preserves. And though they likely didn’t know it at the time, they were performing what would become a great act of public conservation. John Magee acquired 2,700 acres of marsh in 1903 with the intent of making it farmland. But when Lake Erie kept overwhelming his dikes he went with the flow, so to speak, and returned it to marshland and private hunting. The hunt clubs were off limits to the public, due in part to the fear of poachers who were a constant problem. But one who did gain access was legendary Toledo naturalist Lou Campbell. Through his befriending of club owners and members, Campbell began prowling the marshes in 1926 and documenting what was there, birds in particular. He toured Magee Marsh when still owned by the Magee family; spent nights in the marshes listening to its symphony of sounds; wrote of the rhythms and cycles of the marsh that take place in all 12 months of the year and once saw whiskey runners unloading a boat on the shore during Prohibition. ​His first publication, Birds of Lucas County in 1940, was the initial, scientific documentation of area birds. In it, he expressed his alarm at rapidly falling bird populations due to loss of habitat. But he also noted a “ray of hope” in the form of a rising public, aesthetic appreciation of birds and a growing desire by local and state governments to create public lands. That ray of hope got a lot brighter in 1951 when 1,800 acres of marsh was bought by the state of Ohio and Magee Marsh State Wildlife Area was born. Marsh purchases continued through the decade at the state and federal level, including much of what it now the Ottawa National Wildlife Refuge, opened in 1961, and now over 10,000 acres of once-threatened, Lake Erie marshes are in the public domain. Though songbird migration occurs throughout the Lake Erie marshes, it focuses along the forested beach ridge where now meanders the Magee Marsh Bird Trail. But the trail didn’t start out there. The first Bird Trail was cut near Turtle Creek in the southeastern part of Magee near State Route 2 where the birds were not numerous. Then came Laurel Van Camp. ​​The Ottawa County game protector and naturalist climbed thousands of trees in his life and banded thousands of birds. It was said that if you climbed a tree in the county, you just might hear the wind whisper, “Laurel Van Camp was here.” ​He began banding and keeping records of bald eagles in 1946 which played a major role in their dramatic, Ohio comeback. He was also an outspoken advocate for the protection of all birds of prey when it was common to shoot them as nuisances. In the spring of 1963, he noticed there was a major concentration of birds in the northwestern part of the marsh off of what was then the Crane Creek State Park parking lot. In 1970, he laid out a foot trail there birders began enjoying the full majesty of the Magee Marsh migration. But soon trampling feet were degrading the environment and a solution was needed. And that solution came in the form of a boardwalk and railings built by the Ohio Division of Wildlife and dedicated on April 30, 1989. The Magee Marsh Bird Trail, as it is now, became a reality. The boardwalk brought new birders and Magee’s popularity grew. Photographers, still carefully shooting film, came in numbers as well. One veteran was Toledo-area businessman and philanthropist, Tom Anderson, who during his life went from shooting birds with a rifle to shooting them with a camera. Of his thousands of bird photos, one taken along the Bird Trail of a golden-winged and a blue-winged warbler, inches apart in the same bush, is in a class by itself. Photo caption: Golden Winged and Blue Winged warbler together along the Magee Marsh Bird Trail. From Hunting Unlimited: Shooting Birds with a Camera by Tom Anderson (1999). Used buy permission. 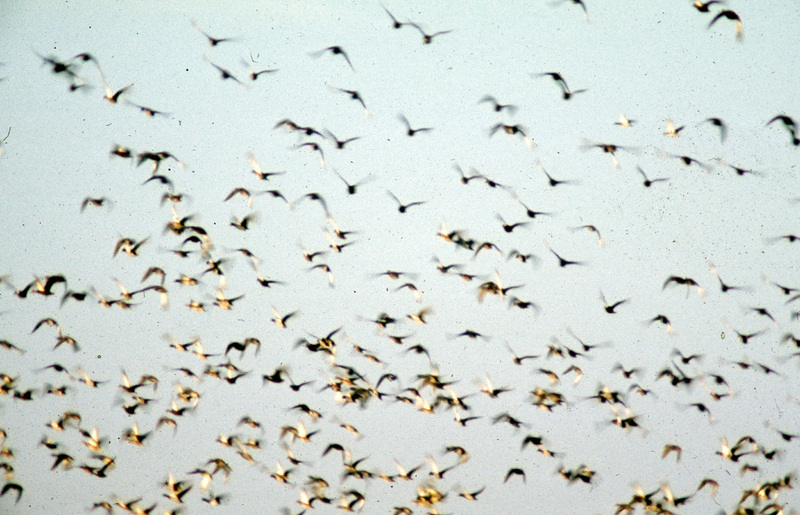 The popularity of Magee Marsh birding grew throughout the 1990’s but at a measured pace. In 2002, Birder’s World magazine named Magee the seventh best birdwatching place in North America. 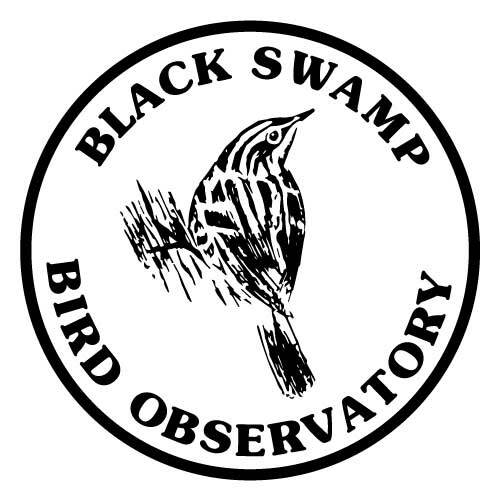 In 2006, Black Swamp Bird Observatory moved its headquarters to the abandoned, former ranger’s residence at Magee’s entrance. ​In 2008 the state park was closed and it acres were added to the wildlife area. In 2010, BSBO began The Biggest Week in American Birding which, along with the internet, has transformed birding at Magee from an event of local and regional interest to that of a global one. And in 2014, Friends of Magee Marsh began a major and ongoing fundraising effort to replace the aging wooden walks and railings of the Bird Trail and stabilize the tower. At one time it was novel to see license plates from as many as a dozen states and perhaps the province of Ontario in the Magee Marsh parking lot during spring migration. Now it attracts visitors from over 22 countries and every state. In 2015, Magee Marsh was voted USA Today’s #1 Birding Destination in North America. ​With these new visitors have come new moments, such as seeing a professional bird guide from Mexico introduce himself to a pair of guides from Ecuador. Or a couple from England, excited as children on Christmas, after seeing seven life warblers in one morning. Or two sisters from Toledo, carrying on in a similar manner, while marveling at their first ever, black-throated blue warbler. Beyond the individual experience there’s a collective one. Of people journeying to a place from near and far and coming together with a shared enthusiasm, knowledge and passion. Even the nature of the Magee Marsh Bird Trail itself adds to the sum of the experience. It’s location in a quiet, green marsh along a Great Lake and well away from the sight and sound of the nearest highway make it a small and singular world, delightfully away from the larger one. ​Messrs. Van Camp, Anderson and Campbell have all moved on from this domain. The latter wrote dozens of articles and half dozen books including his signal work, The Marshes of Southwestern Lake Erie before he died in 1998 at the age of 98. Tom Anderson left behind Hunting Unlimited: Shooting Birds With a Camera that show his best photos, including his Magee warbler ones. And Laurel Van Camp’s life’s work was not unrecognized as he was the recipient of multiple awards and served five years as naturalist emeritus of Magee Marsh State Wildlife Area. But perhaps in the flash of a camera, the soaring of a bald eagle overhead, or someone just sitting quietly and listening to the songs of the marsh along the boardwalk, a small part of these three men of the birds will always be there.